The world is ever changing... For the fifteenth coming. It suddenly occurs to me that this looks a lot like the game they originally wanted to make FFXIII-1 with the on field battles and stuff. Other than that observation though, I have to ask, how many more of these FFXVersus threads are there going to be before the game gets released in 20XX? I have to ask, how many more of these FFXVersus threads are there going to be before the game gets released in 20XX? 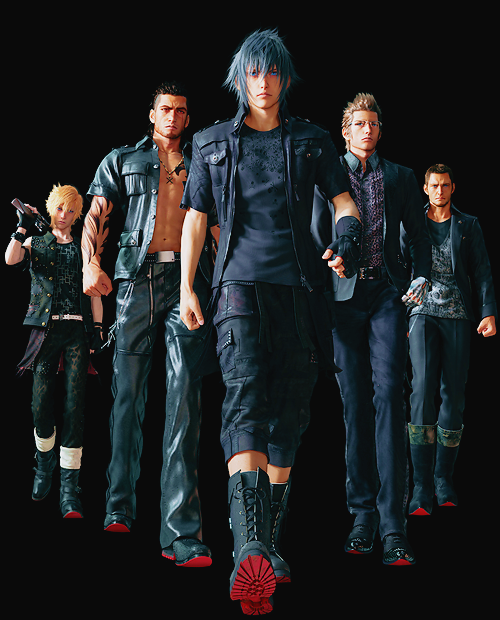 Well, with the official announcement of XV and SQEX commitment in releasing XV "soon" without holding info for months like before my intention is to make this the thread about Versus/XV. 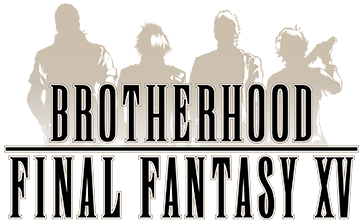 With them reiterating that this game will have a world map, the prospects of it being like Kingdom Hearts, and the fact that I definitely like the aesthetic... oh, and a Shimomura soundtrack-- I am very excited for this one. Looks very cool, I can't wait to pla--wait a sec, is that Lucas Lee on the far right??? Also someone on GameFAQs said that he designed 3 characters for Type-0: Caetuna, Kurasame Susaya and Khalia Chival VI. I know a bit more about the cycling Ferrari, so I had a double-take on that one. You've got 5 cool guys walkin' there, but they need a explosion to not look at. A fantasy based on reality... I'm actually curious as to what reality this is being based off of. I wonder if there might be some veiled imagery in the announcement trailer (with all the dialogue) pertaining to the New World Order conspiracy theory and all that stuff. Japan is something of an anomaly in the world, like it's a country doing its own thing totally different from the rest of the world (and is probably one of the most resistant countries to the New World Order). So it almost has that objective outsider perspective, kinda like how a lot of religious themes are handled in Shin Megami Tensei or Xenogears or something. That, and I do like RPGs that utilize modern/post-modern settings (hence why I enjoyed FF8 a lot) and I'm curious about XV's setting. Oh, and a Shimomura soundtrack interests me as well. @Dincrest: The theme of XV is 'Bonds' and they said that the core of the story take itself quite seriously but there is still humor to keep things balanced. That said, as someone who has followed Versus/XV for years I think you're reading too much into this considering that Kazushige Nojima is the writer for XV and he usually focuses more on the relationship of the characters more than anything else but we'll see once it comes out. Also more info is assumed to be shared at TGS. Well, I've already seen people claiming that there are similarities between the cityscape seen in the trailers to real world Shinjuku. See here. Nope. Its official. We're going to be playing as a band of magical girls boys. Expect to see Godzilla Leviathan wrecking Tokyo Tower.